Ford-Rangers.com Ranger Forum > Welcome To The Newest Ford Ranger Forum > General Ranger Discussion > Which Transfer Case Adapter? See this picture from earlier in the thread? Should be the same on all Rangers with gem module 98+? 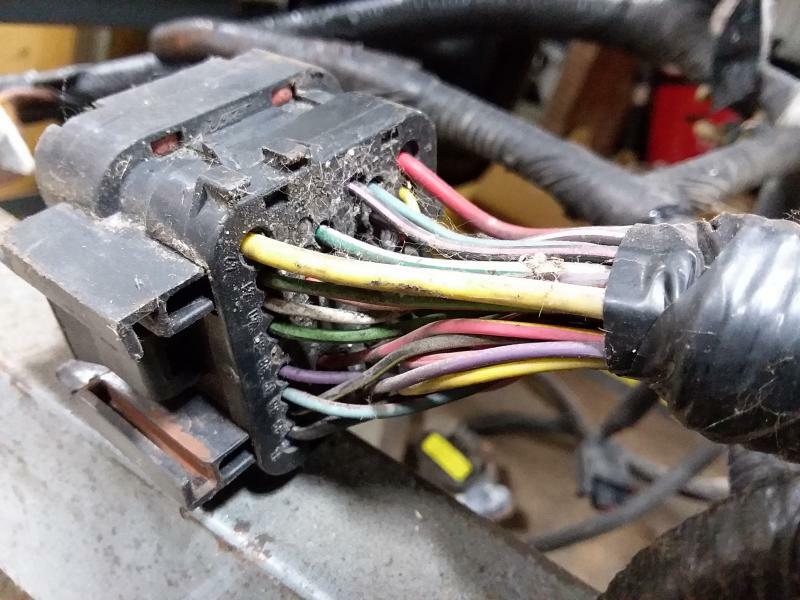 Do you still have your V6 wiring harness? I tried this and it did not fix the issue. Yes mine is C110 and yours is also. 3 X 2000's like that, one born with 2.5 one born with 3.0 one born with 4.0 yours has to be the same. Something is fishy it should work! 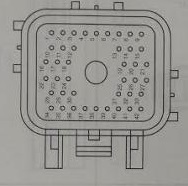 Basically what was done is a wire was run from the transmission range sensor to the GEM. 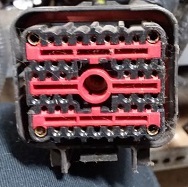 Is the wire supposed to be integrated into that 42 pin connector somehow? Or is it just supposed to go straight from the GEM to the range sensor? I think you did good by going straight from the DTRS to the Gem, not sure why you are still not getting a low range shift...maybe your motor is fubar now? Maybe we blew a fuse? That SHOULD allow the low range shift, at least it is for Brett. Maybe his works because it's an explorer? And mines a Ranger? 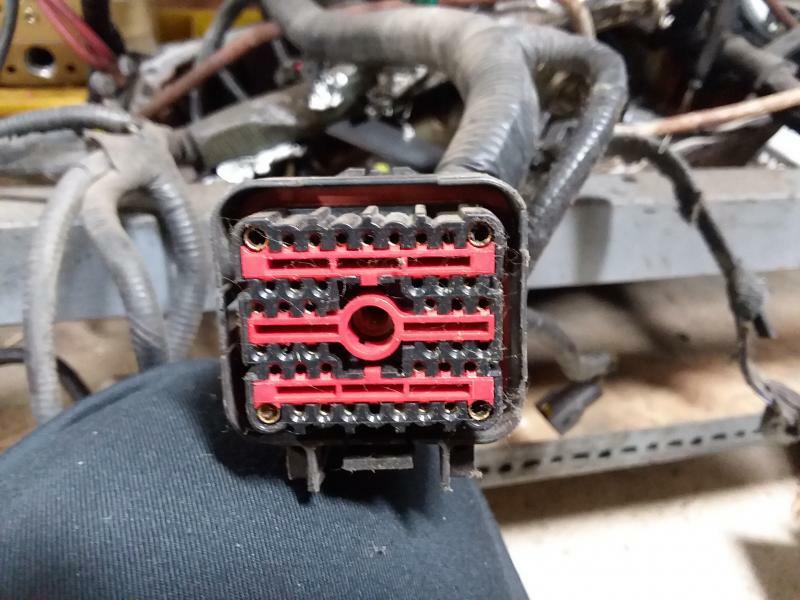 Do you have a red/white wire on pin 33 of your 42 pin connector under the hood? I will. I really hope he is right.. Otherwise its either getting a cobbled together manual case or it's getting sold..
add the wire from trans to pin 33, then make sure its connected to your Gem. 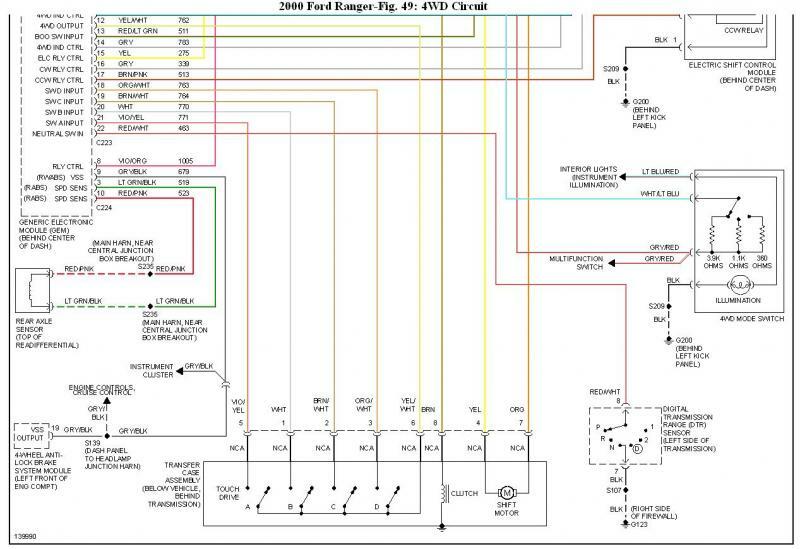 Check your fuses and lets see if the Low shift is fixed! It should already be connected to the GEM, should it not? I guess i'm just confused as to how running this wire to that connector will fix it if running it straight to the GEM didn't. Does that red/white wire go somewhere else? Page processed in 0.2889 seconds (18% database + 82% PHP). 131 queries executed.